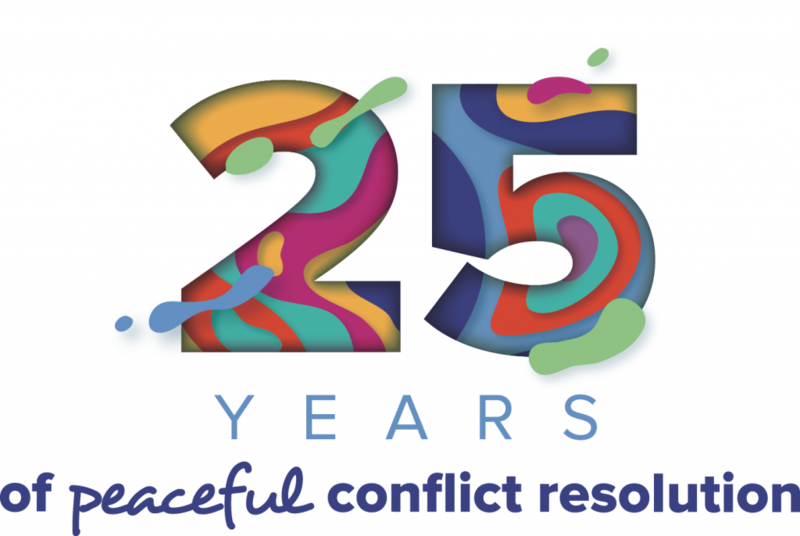 Our service offerings support our mission of providing mediation, facilitation, and education for the peaceful resolution of conflicts to all who ask. We aim to improve the quality of life for individuals in Anne Arundel County and to create a more peaceful and productive community by helping people communicate constructively to resolve conflict. The mediation program is the heart of the Anne Arundel Conflict Resolution Center. We provide mediation services at no cost for anyone requesting them. Mediation lets people speak for themselves and make their own decisions. It is a voluntary, confidential, and informal dispute resolution process. In a mediation, our professionally trained volunteer mediators promote communication which empowers participants to face and creatively channel conflict rather than allowing hostilities to build toward violence or litigation. Mediations are scheduled in neutral locations in the community at times that suit the participants. The participants each talk about the situation and create mutually agreeable options and possibilities for solutions. These solutions may be put in writing for participants to sign. Mediators do not decide who is right or who is wrong, nor do they impose solutions on the parties. Most mediation sessions last two hours. All proceedings are confidential. What does a mediation look like? ADR in a Box from Virtual Campus on Vimeo. We provide education through presentations to community groups, churches, schools, and/or government agencies. We discuss conflict styles and effective communication. When addressing youth groups, we also use what we call a peace wheel, which teaches the basic process of mediation. The children are encouraged to use the process when dealing with peers or their parents/guardians. Twice a year, we address our local County and City police. They carry with them pocket size pads of information that they can tear off and give to individuals who are experiencing conflict not of a criminal nature. We offer courses in anger management throughout the year and also provide training to the men incarcerated at the Jennifer Road Detention Center. In addition, we honor requests to provide paid trainings specifically tailored to the needs of an organization or business. Our trainings are fee based and are priced as appropriate at the time they are offered. Contact the center for more information. We provide facilitators to help groups more effectively disseminate information or work through identified issues. We discuss fees with the groups we are helping so that we are not adding to their stress. We have facilitated discussions involving local and governmental organizations, community groups, businesses, and other nonprofit and government agencies. These facilitations may involve conflict, planning for the future, and/or the implementation of policy changes, among many other things. We also provide neutral facilitators to assist in IEP (Individual Education Plan) meetings. The goal of a facilitated IEP meeting is to help IEP team members communicate effectively and develop plans for the child to which everyone can agree. An independent IEP facilitator may be requested by parents (including guardians and surrogate parents of a child with a disability), an adult student with a disability, or a school representative. A Community Conference is a meeting of people affected by behavior that has caused harm. The goal of the Conference is to create an agreement that will repair the damage and provide reconciliation for all participants. Arguments centering on racial issues, cultural differences, value conflicts, and/or lack of effective communication frequently escalate. Powerful negative emotions of anger, hate, and fear may be the guiding forces behind harmful actions. The process is value-driven. Reinforcing this goal of healing is the empowerment of the community to be involved in deciding what is to be done in the particular situation and to address underlying problems that may have led to the situation. The goal of the project is to have communities familiar enough with Community Conferencing to feel comfortable contacting us at the earliest time when they realize a conflict exists and that help may be needed to sort things out. Community Conferencing brings everyone together to be part of the solution. The following PDF forms may be downloaded and used in mediation as directed by our staff.